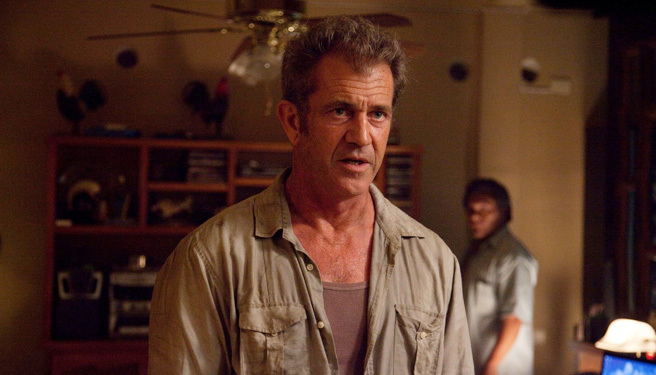 Try and imagine, just for a few moments, that you are Mel Gibson. Mel, while your movie star looks have aged relatively well, your career has not; this has less to do with your film choices and more to do with the person that you are. The problem is, you see, that you have lots of deep-seated views which are deeply offensive, some of which you might not fully be aware of in your day-to-day life: views such as anti-Semitism, homophobia and misogyny. You managed to keep this part of yourself internalised, or at least out of the public’s view, for most of your successful career. And very successful it was: you were one of the biggest stars of the 80s and 90s, balancing popular action films with the occasional venture into more serious drama. Your work as a writer/director also, while containing a major obsession with physical suffering, was for the most part accomplished and interesting. You took some bold chances, funding by yourself a $30 million non-English language film you were making about the death of Jesus, which most people predicted would be a massive failure and end your career. It made $600 million, most of which went to you. But then something happened. The thing is, you’re a recovering alcoholic, and in 2006 you relapsed severely with an infamous arrest for drunk driving. It wasn’t the arrest that shocked people, but the tirade of hate that accompanied it. You argued that the awful things you said weren’t your real feelings but were instead the result of extreme drunkenness. Perhaps this could have been true, and perhaps people might have moved on, but then the vitriol poured out from you again, and again, and again. You’ve developed a nasty habit of leaving abusive voicemail messages, insulting co-workers, and threatening to kill your ex-wife. As such, your career has imploded, and it is now almost impossible for audiences to separate your damaged public image from the characters you play. So what do you do now? You don’t need the money, but everyone has to fill their days somehow, and presumably you still harbour a desire to perform. Perhaps you even think people might start liking you again if you appear in something they enjoy. Ultimately you’re an actor: you want to act. But what sort of films do you choose to appear in? You tried playing a lovable family man, attempting public rehabilitation with man-finds-happiness-through-a-hand-puppet movie The Beaver. It was a flop: while audiences could accept you playing someone mentally unhinged, someone who would speak entirely through a puppet of a beaver, they couldn’t accept you portraying a decent human being. A year passed, and now you’ve tried another tack, producing and co-writing a film with your old first AD, Adrian Grunberg. 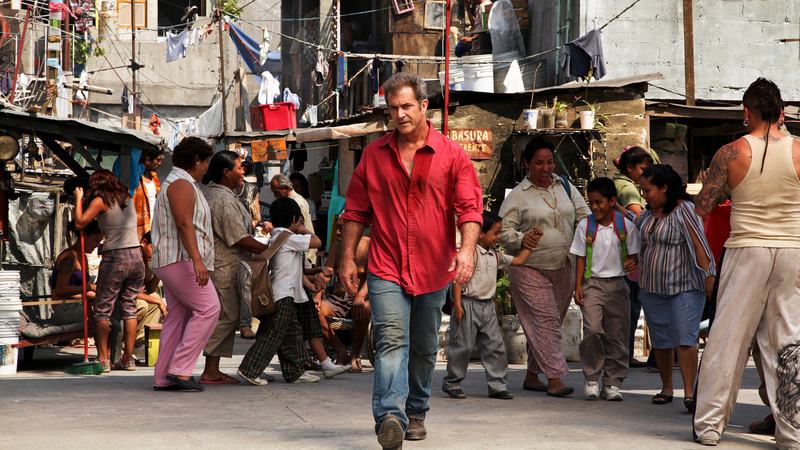 The picture, How I Spent My Summer Vacation, casts you as the roguish Driver, a career criminal trapped in the notorious Mexican prison El Pueblito. Driver must learn to survive in El Pueblito whilst trying to recover his ill-gotten millions and protecting a 10-year-old boy (Kevin Hernandez) from the prison’s organ-harvesting kingpin Javi (Daniel Gimenez Cacho). Ostensibly a black comedy that’s supposed to grittily evoke genre pieces of the 70s, the film just doesn’t work, despite impressive production design and the tobacco-bleached cinematography of Benoit Debie. How I Spent My Summer Vacation is not nearly as funny or exciting as it tries to be, or as innovative as it imagines it is. The real problem, as always, is you. Where once you fruitfully played against type as an anti-hero in darker fare such as Payback, here your public perception bleeds distractingly through: instead of Driver seeming like a world-weary cynic with a hidden kind streak, instead he just comes across as a horrible, cynical, bitter man. Driver’s fondness for the unnamed boy and the boy’s mother (Dolores Heredia) feels insincere, and his criminal resourcefulness doesn’t have the charm that it’s meant to. The mischievous charisma that has been your appeal since Lethal Weapon has deserted you: the joke isn’t funny anymore. As a career choice, playing an unpleasant character wasn’t a bad impulse, and perhaps the strategy would have worked if the film itself was better. Unfortunately for you it wasn’t, and like the many, many other problems in your life, this is your own fault and you’re just going to have to live with it.